it wasn't presented as such. 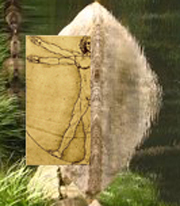 Zygomorphic vegetative formulae, reflect the microcosm-macrocosm relationship between Self (archetype of unity) and nature. The opposites seek one another in order to create a balance between order-chaos, body-psyche, male-female.